Why is music good for language learning? Recent research findings. We came back from our summer holidays this week and there I was faced with a deadline already.... a nice one. 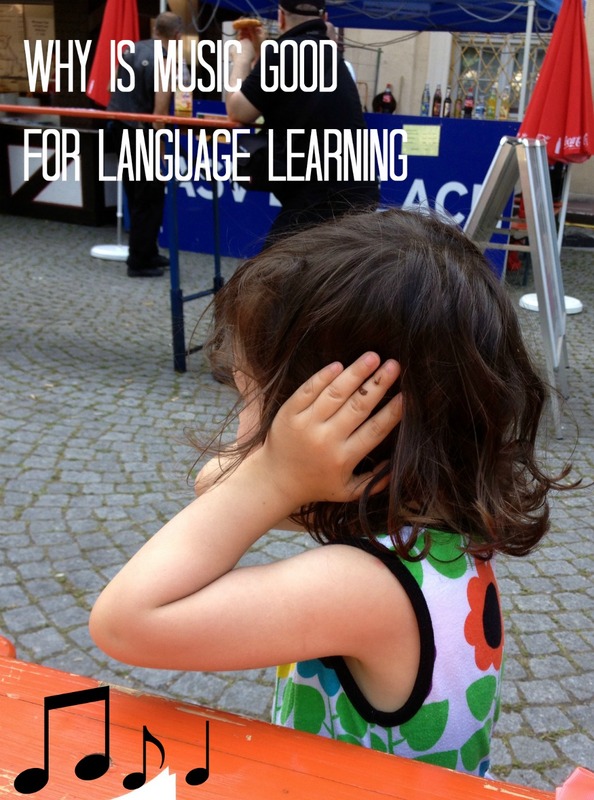 This month's carnival on raising multilingual children is about language and music. A very interesting topic you may say, but I was a bit stumped for what to write. Sure, music is important in our family. Our daughter learns a lot of Portuguese that way as it is easier to get downloads than decent books for us. But I didn't feel that was enough to go on. And today, there it was: in my inbox. A recent research study showed that people who are better able to move to a beat show more consistent brain responses to speech. While this may not be the most ground-breaking study, I thought it was right up my alley. I was to write about what the latest research has to say about the relationship between music and language (learning). I have selected below 3 studies that I think are interesting and show how important music is to language learning, hoping these will help encourage parents to use music as a learning tool. According to this research paper, spoken language is a special type of music. I am sure we can all see how that could work. We all hear about such and such language as being described as 'musical'. The researchers claim that children initially listen to language as a type of music. They focus on the sounds of the language, the rhythm and the tones. The meaning of words and the message comes afterwards. They explain how people with dyslexia often have difficulties in musical rhythm and how music therapy may help people with language disorders. In this study, adults who listened to short Hungarian phrases and then sang them back performed better in a series of tests than those who spoke the phrases. The author writes: "This study provides the first experimental evidence that a listen-and-repeat singing method can support foreign language learning." I, personally, think this study is brilliant. It is not about why music is good for language learning but rather the opposite. Participants were tested on their ability to discriminate complex musical notes. Some were musicians, others not. Some spoke Cantonese and others only English. While the musicians demonstrated superior performance on all auditory measures, the Cantonese non-musicians showed similar performance to musicians on music and cognitive behavioural tasks, testing 15 to 20 percent higher than that of the English-speaking non-musicians. This basically means that knowing a Cantonese gives you a real advantage for music training. This may also apply to other tonal language (ie languages that have high and low pitch patterns as part of speech - whether you say something in a high or low pitch can affect the meaning of words). If replicated, this is a great reason to teach a tonal language to your kids! Anthony Brandt, Molly Gebrian, L. Robert Slevc. 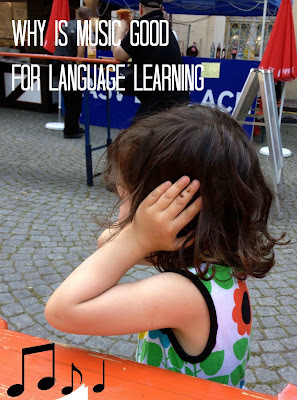 Music and Early Language Acquisition. Frontiers in Psychology, 2012. Karen M. Ludke, Fernanda Ferreira, Katie Overy. Singing can facilitate foreign language learning. Memory & Cognition, 2013. Gavin M. Bidelman, Stefanie Hutka, Sylvain Moreno. Tone Language Speakers and Musicians Share Enhanced Perceptual and Cognitive Abilities for Musical Pitch: Evidence for Bidirectionality between the Domains of Language and Music. PLoS ONE, 2013. That third study would explain why the Musikhochschule in Karlsruhe seems to have soooo man Asian students! Wow! Fascinating! Maybe this is why my husband and I intuitively felt that no matter what or children must learn a musical instrument and starting this year! 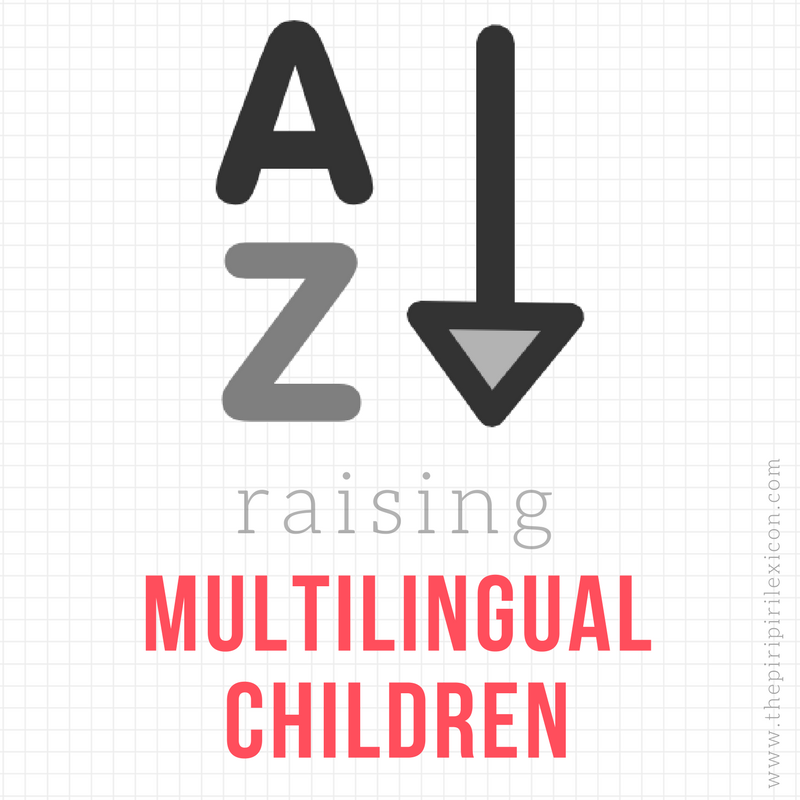 Hurts the pocketbook when you make a check for 3 children for music training AND music theory classes, but I'm happy to know that in addition to developing a talent they will carry with them throughout their lives, it will also help their language development! Thanks for sharing! I would like to comment the 2nd study. What we are looking for when we learn a language is proficiency, that is being able to talk etc spontaneously at a good level. How we perform on tests is not really a measure of that. The initial TOEFL test for eg measured students ability to "know" English, but did not measure their proficiency. So when it is stated that students performed better on tests, I am a little hesitant. For too long language teachers have asked students to repeat phrases, sounds, words hoping that by some miracle they will be able to transform that into language skills. The exceedingly poor rates of success in language learning only attest to the fact that a lot of what is being done (and I will put repetition, with or without music into that category) is flawed. The trouble is that many researchers are stuck in the current paradigms and hence look for results to improve what we are have, not to actually question it. There are a number of people who have done that. Language Learning Unlocked is one book that questions the current paradigms and proposes alternate ones based on what we know about infants learning their first language and what we know about what successful adults do. Thank you for your comment. I am simply reporting what the study has found. I am sure there is much more at play than repetition with music. I am also aware of other studies that have reported similar results but where the learning based on the music has not led to bigger advantages later. In my opinion, though, to claim that a lot of what is being done is flawed is a little pessimistic. Luckily, there are millions of people fluent and proficient in a number of languages. I really don't know that music is very good for language learning. Glad to learn such important lesson through reading this enormous allocation and I'll look forward to share this nice post with my Facebook wall, to spread the word around. It is the great benefits that music brings to students. Nice to be exposed to it everyday.